India’s leading e-commerce company Flipkart just hired a familiar name from Google. Surojit Chatterjee spent the last eight or so years at Google, serving as “Product Management Director, Mobile Search Ads and AdSense for Search.” He’s also an angel investor. He’ll serve as an SVP and head of consumer experience and growth. Flipkart is delighted to welcome Surojit to the organization. His experience helping build and scale a multi-billion dollar business from scratch, his deep knowledge of product management and global e-commerce, and his tremendous expertise in mobile advertising will help Flipkart continue to deliver ever-greater customer experiences even as we rapidly expand. He will be part of the leadership team and help innovate and improve all the ways we serve our customers. Google’s mobile search business accounted for an estimated $12B in revenue last year for the company, so I can imagine that Chatterjee was a hot property. Flipkart has also grabbed three other senior Googlers and execs from Amazon, Microsoft and Yahoo this year. 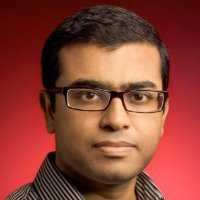 On joining the company, Chatterjee said “I’m incredibly excited to join them to help shape India’s bright future.” In 2007, Chatterjee joined Google as head of its payment products in APAC and then went on to lead the mobile products team in India. Flipkart, founded in 2007, has raised $3.15 billion and claims 26 million registered users and over 8 million daily visits to its properties.